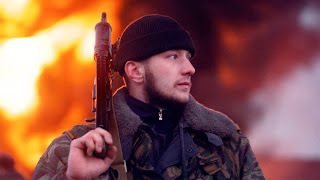 Rustam Saliyev, who from 2008 to 2011 served as a personal protector of “the leader of the North Caucasus bandits,” according to the anti-terrorism committee, was reportedly killed in a special operation in the rural Achkhoi-Martanovsky district of southwestern Chechnya. Foreign energy companies will be intrigued to learn that Russia’s turbulent Caucasian republic of Chechnya is now open for investment in its hydrocarbon industry. On 18 June the Russian Prosecutor General's Office announced that the Supreme Court of Chechnya has handed down guilty verdicts on five terrorists who planned to derail an oil train in Chechnya received sentences ranging from 9 to 16 years in a high security prison camp, telling journalists, "In June 2011, the conspirators, who planned to derail an oil train, made a barrel bomb that they placed under the rails in the Grozny District of the Chechen Republic" before being discovered by security guards. Police and Federal Security Service (FIB) operatives have detected and destroyed two explosive devices that were allegedly meant to be used to bomb a police checkpoint in Dagestan, a republic in Russia's North Caucasus, the Russian National Anti-Terrorism Committee said on Thursday. According to Kisriyev, who knew Akhmednabiyev personally, Akhmednabiyev was on a so-called “hit list” along with eight other Dagestani journalists, some of whom have also been killed, including Khadzhimurat Kamalov, head of another popular Dagestani newspaper, Chernovik. Kamalov was murdered in 2011. Akhmednabiyev was on the list because he was critical of law enforcement authorities in his articles, Kisriyev said, but people who made the list likely considered him part of a religious group as well because he often defended Dagestan's Muslim population. A high-placed Kremlin source has strongly denied the possibility of changing the Russian law according to which killed terrorists’ bodies are never handed over to relatives, but buried in undisclosed locations. Russia’s Federal Protection Service (FSO), the Kremlin agency that protects state officials like the president and the prime minister, has ordered 20 typewriters in an apparent bid to avoid leaks and surveillance like those revealed by NSA whistleblower Edward Snowden. Police in Russia’s capital have seized more than 150 kilograms of heroin, worth estimated $60 million, in the past 10 days, Russia’s drug czar said Thursday. That amount of heroin, believed to have come from No. 1 opiate producer Afghanistan, is enough for 6.5 million individual hits, according to the Federal Drug Control Service. For comparison, Moscow’s total population is estimated at 12 million. Victor Ivanov, head of the Federal Drug Control Service, proposed construction of additional inspection offices on the Russian-Kazakh border (7512,8km total), RIA Novosti reports. Ivanov said that a large portion of Afghan heroin was found in the Moscow Region. It was transported over the Russian-Kazakh border. The head of the Russian Federal Drug Control Service Viktor Ivanov proposed to create an anti-drug operations center on the basis of the Collective Security Treaty Organization (CSTO) to fight Afghan drug trafficking. National headquarters will be located in Kazakhstan, Kyrgyzstan and Tajikistan on the basis of certain special services in these countries, the Rossiyskaya Gazeta (Russian Newspaper) reported on July 2, referring to the session of the Council of CSTO Heads of Anti-drug Agencies. One of the biggest contracts discussed during the visit of the British Prime Minister was a joint venture for oil and gas processing at the same field of Kashagan, in which the Chinese intend to buy a share. During a presentation of the project, Cameron and Nazarbayev noted that the production of the plant will be a new reliable source of energy for European countries. Apparently reassured by such a deal, the British Prime Minister was pleased to note the importance of Kazakhstan on issues of regional security. "Kazakhstan is on the rise. It is a country that wants to play a more important role in the region and in the world," Cameron said. According to him, in the coming years the UK is ready to conclude with Kazakh partners contracts worth approximately $130 billion. One of them is the development of a new plan to replace the failed route of the Nabucco gas pipeline, previously supported by the U.S. and Europe. 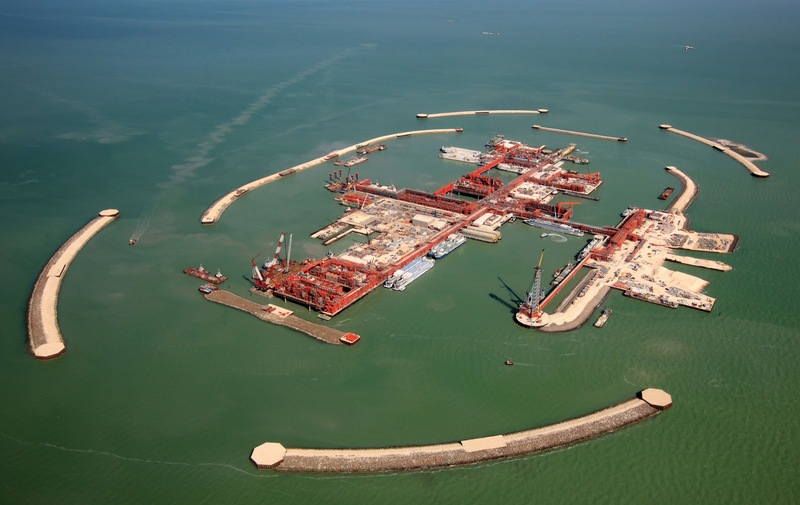 Chinese energy major CNPC is about to snap up a stake in Kazakhstan’s super-giant Kashagan oil field just as the project prepares to start commercial production, expanding an already significant Chinese presence in Kazakhstan’s energy sector. This deal benefits China, because CNPC’s entry into the project would ensure that a healthy share of Kashagan’s oil flows over Kazakhstan’s eastern border with China. “Beijing is desperate to fill an oil pipeline between the two countries,” Reuters reports. China already holds around a quarter of Kazakhstan’s energy pie. In 2010, it controlled 22.5 percent of Kazakhstan’s oil output, according to Kazakh Oil and Gas Minister Sauat Mynbayev. This deal is a loss for India. In fact, India has lost at least $12.5 billion of deals to China in the past years, Economic Times reports. In 2005, CNPC outbid India for PetroKazakhstan, a Canadian oil firm operating in Central Asia. India offered $4 billion, but post-close of bidding, Chinese firm CNPC raised the offer price to $4.18 billion, and then won the bid. A month later, CNPC outbid India again in buying assets of Encana Corp in Ecuador. "From Kazakhstan’s standpoint (and possibly that of other Kashagan shareholders—see below), CNPC’s entry into Kashagan entails certain significant advantages to the project. The purchase price paid to KazMunaiGaz in this three-way transaction can translate into an infusion of capital into the Kashagan project. This would not have been the case in a bilateral deal between Videsh and Conoco, given that Conoco is exiting this project. CNCP’s entry brings synergies with the oil export pipeline to China, the onshore inception point of which in Atyrau is the closest to the offshore Kashagan field. The pipeline’s capacity is being expanded, and certain Kashagan shareholders consider using it to initiate oil sales to China." “The creation of a transport and logistics centre will help Kazakhstan integrate into the global logistics corridor Western China-Western Europe,” the committee said in a statement. The sides discussed a wide range of issues of bilateral cooperation, including military-technical cooperation, non-proliferation of weapons of mass destruction, regional and international security, and assistance to restore peace in Afghanistan. Idrisov underlined productive work of the Defense Ministries of Kazakhstan and the United States in the five-year cooperation plan for 2013-2017 and stressed the importance of further cooperation in military education, military-technical cooperation and cybersecurity. In order to deepen cooperation in the defense field, the sides also agreed to explore the possibility of exchange of visits by Defense Ministers of two countries. The discussion brought together major political figures and prominent representatives of the expert community in the US. 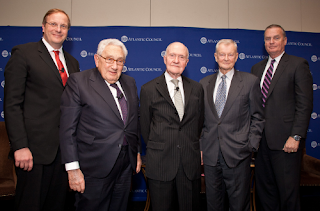 Thus, representatives of the White House and Congress, mass media, former US presidential advisers on national security Zbigniew Brzezinski and James Jones and Deputy Secretary for Economic Growth, Energy, and the Environment Robert Hormats participated in the meeting. Kazakhstan’s politicians and public figures are outraged with Russia's testing of its missiles at the territory of Kazakhstan. They believe that the time has come close the testing sites as the tests negatively affect the people of Kazakhstan, Tengrinews.kz reports citing the President of the international anti-nuclear movement Nevada-Semipalatinsk Olzhas Suleimenov, President of Bolatkhan Taizhan Fund Mukhtar Taizhan and the political expert Rassul Zhumaly. In the last few years Azerbaijan has purchased over $5 billion worth of new weapons from Israel and Russia, it says in an article published on the website Strategypage.com. The current military budget of Azerbaijan is $3.7bn while it totaled $3.1bn three years ago, the article says. During the discussions it was noted that the relations between Azerbaijan and China, in particular, between Azerbaijan and the Xinjiang Uygur Autonomous Region, are intensively developing. The taskforce noted the importance of further deepening of the relations as well as exchanged views on possible ways of developing bilateral relations. MEGA never did find oil, but did contribute materially to the removal of Azerbaijan from the sphere of post-Soviet Russian influence. If you are not familiar with MEGA Oil and the connected operations in the Balkans and the Caucasus, I encourage you to read this very important piece by Dr. Nafeez Ahmed. 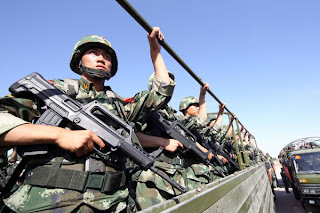 An emergency response team from the Xinjiang Production and Construction Corps participate in a drill in Hami city, Northwest China's Xinjiang Uygur autonomous region, July 2, 2013. 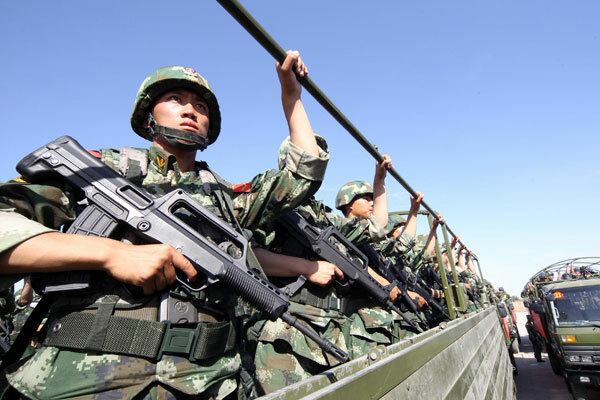 The city held an anti-terrorism drill with police, armed police and military after a deadly terrorist attack left 24 dead in Shanshan county of Turpan prefecture last week.